Home › News › What is ARC? We’re approaching the end of our beta program, so if you haven’t signed up yet now is the perfect time. This great offer for a complete 5.1 or 7.1 system won’t last much longer. There is no risk with our no questions 30 day money back guarantee. We are looking to get your feedback and suggestions for features and improvements. So far your feedback and comments have been great! If you are tired of hearing us talk about how great the Axiim Q is, you don’t have to just take our word for it anymore. In the past week we’ve had a couple of great reviews published! One by missingremote.com, as well as a great conversation on the htguys.com podcast. Special thanks to our reviewers for getting some great information out about the future of wireless audio! 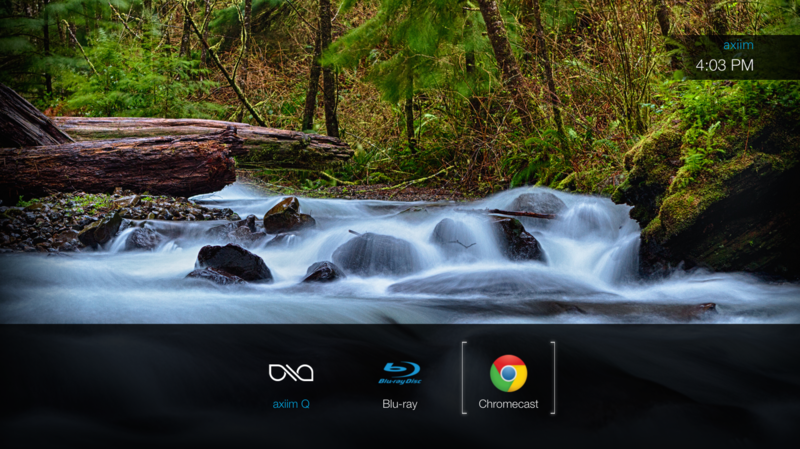 Many of you may use the built in apps on your smart TV to watch movies and other content, and you may be wondering how to send the audio from those sources to your Axiim Q. The answer is Audio Return Channel, or ARC. You may have noticed that one of the HDMI inputs on the back of your TV is labeled “ARC”. By plugging the output of your Axiim Q into this input on your TV, you will be able to enjoy all the audio from your TV on your wireless speakers without the hassle of any additional cables! What content can play through ARC? Just because the TV is the source of the audio, doesn’t mean you are stuck listening to it with the TV’s built in speakers. Depending on your TV compatibility, surround sound content from any of the sources listed to the right can be sent from your TV to the Axiim Q via ARC. How do I use ARC? An ARC enabled TV will have one of its HDMI input port labeled “ARC”. Simply connect the TV’s ARC port to the output of the Axiim Q AVR with an HDMI cable and make sure to enable the external speakers on your TV. That’s it! Start up your TV’s built in Netflix app and start playing. The Axiim Q will automatically detect the content coming over ARC and start playing through your wireless speakers, with all the great audio processing and features you are used to with the HDMI input devices plugged directly into your Axiim Q. One great feature ARC enables is that it gives you the ability to turn your TV into an HDMI hub. This allows you to enjoy 4K video and still have a great audio experience. 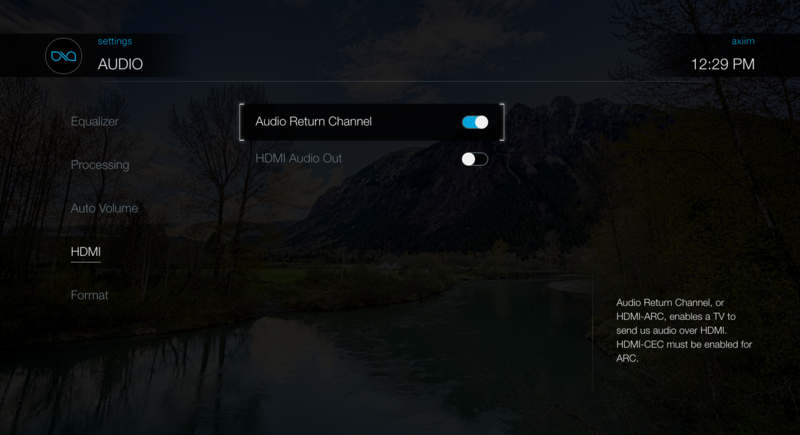 You can connect your 4K devices directly to your 4K TV, and still stream all the audio to your Axiim Q with ARC.